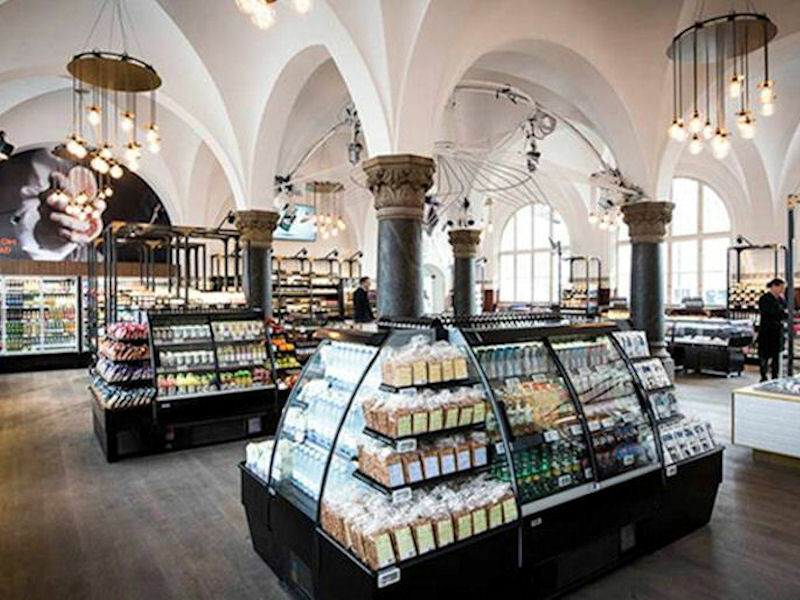 CADA Design were commissioned by the Danish convenience group COOP to turn a part of Copenhagen’s historic Grand Central Station, into a highly interactive retail experience. 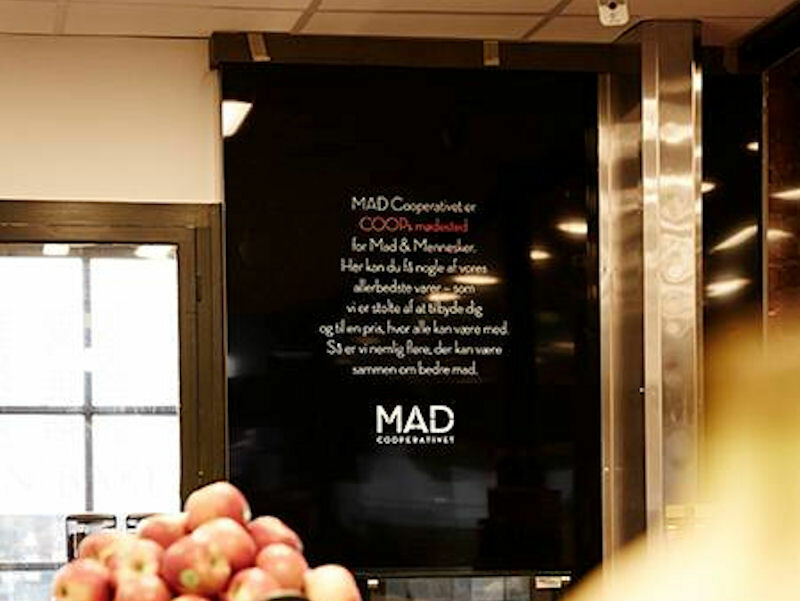 We were appointed this position back in September last year by Danish retailers, COOP, who CADA have previously worked with on a new store format for their sister company Irma, back in December 2013. CADA was asked to consider both the interior design and the accompanying graphics. 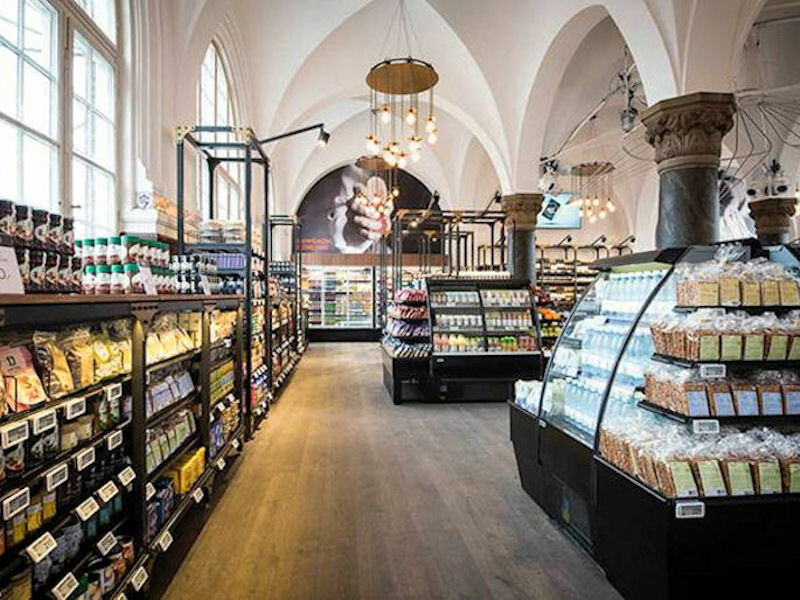 The brief stated that the store needed to engage with its audience, creating a highly interactive and energetic atmosphere with facilities such as coffee shop, deli counter, bakery and most excitingly a live TV Kitchen. With a flash of neon graphics, marble, industrial metal shelving and statement lighting the overall effect is stylish and intriguing. The Denmark national press have coined the term "The Dean and Deluca of Denmark". In regards to COOP's involvement, they provided us with strong ideas of what they wanted but complete creative reign. The brief stated they wanted an innovative retail experience, which kept in keeping with a traditional market set up. We mixed rustic and industrial materials to create an association with a market place, yet next to a flash of contemporary neon, white tiles and pendant lighting it has become something quite spectacular. CADA Design specialise in F&B Design. 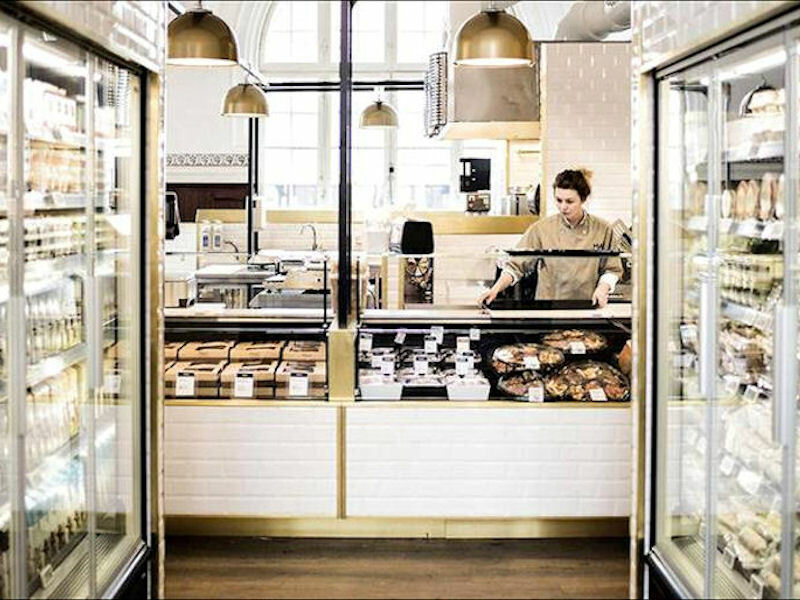 We have worked with the likes of Dean & Deluca, Harrods and Westfield to create innovative retail experiences. It is our 25 years of experience that has led to us understanding the needs of the consumer and how design can affect that. The project started by distinguishing the brand's identity. From there the design development was in motion. CADA was in control of the spacial planning, sourcing of materials and furnishings, concept drawings, way-finding, merchandise and promotional documents. Project management and site surveying were performed by external companies. Working in a listed building was challenging at times. Showing a sensitivity to its historic setting was of high importance and the design had to fit within the space but bring it into the 21st century. There were also design restrictions to contend with. CADA had to consider some of the design elements (signage for example) carefully due to the protected walls and features. 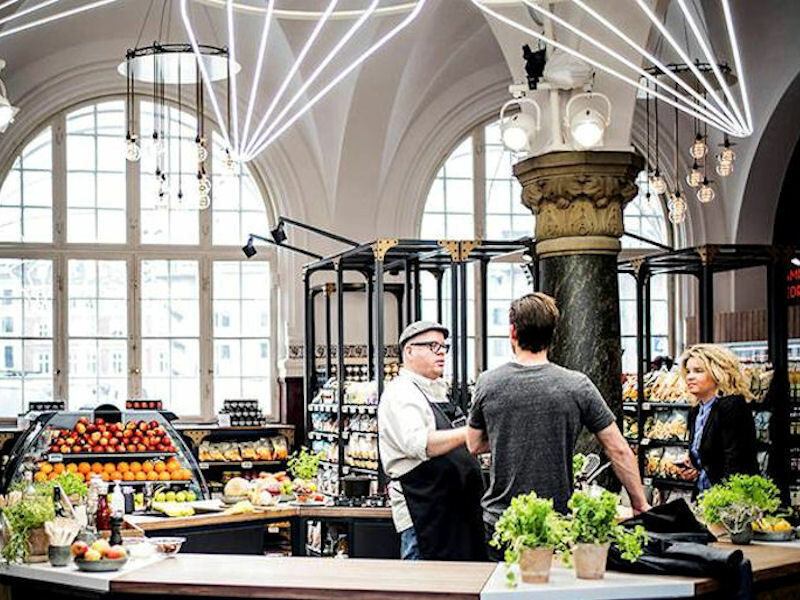 As the station is in the Central Station, over 90,000 commuters and customers visit the store daily. 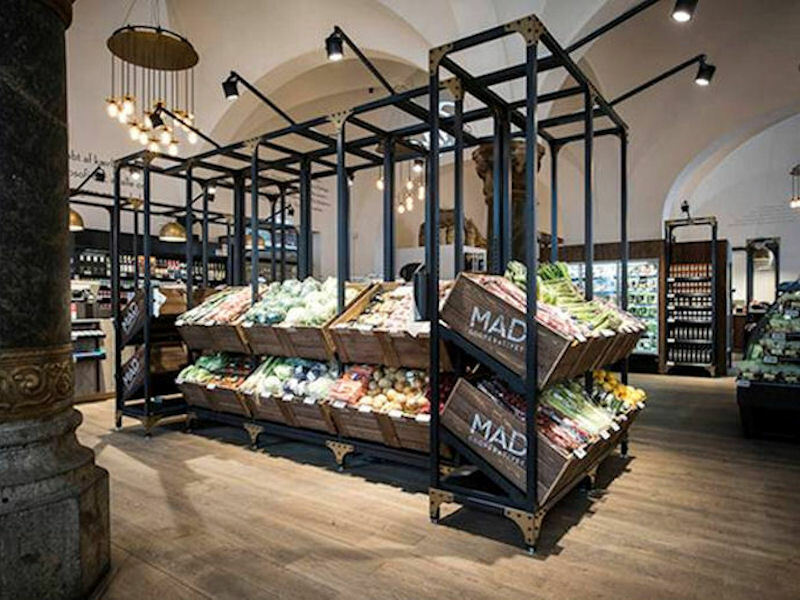 CADA designed the space to accommodate high volumes of shoppers in a controlled and organised manner. Transforming a historic building into a modern retail space is unusual in itself. We had to understand the building and its history to translate a sensitive yet dynamic design. We were also turning a traditional space into a transitional space. The live TV kitchen generating a lot of energy, which needed to be controlled within its surroundings. The project is pushing design to think how a space can be used to engage its audience. 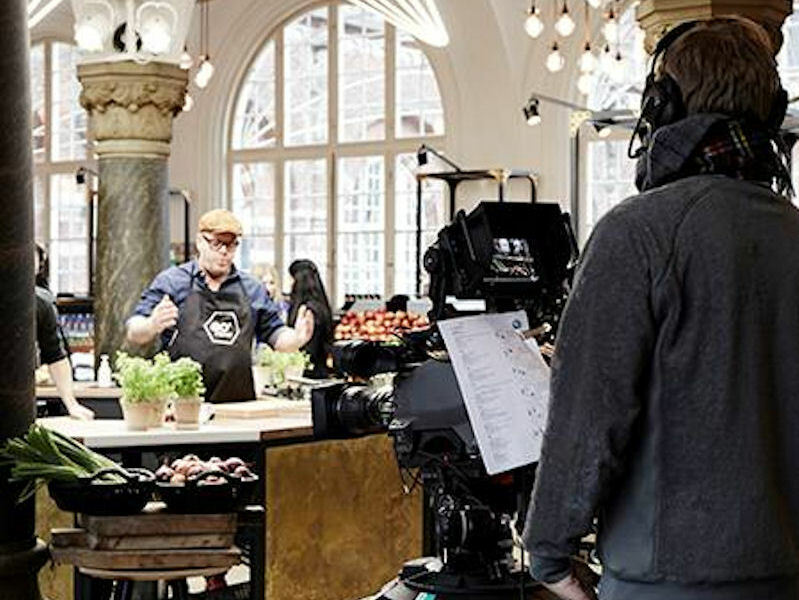 With an enviable footfall passing through the store each day, live national broadcasts and cooking demonstrations coming from the in-store TV2 Studio, you are enticed by the theatrical surroundings that welcome you to explore the store.